It's 1838, and James has made a secret plan to escape Master Graham’s farm–and slavery. James tells his dog Zeus he has to stay behind: he’s simply too noisy to bring along on a dangerous nighttime journey. But when two white men capture James soon after he runs, he’s grateful his faithful hunting dog didn’t obey. Zeus has followed behind, and the scrappy hound rescues James from his captors. 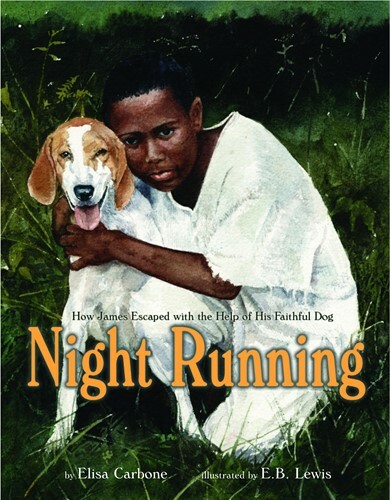 An author’s note describes the real life inspiration behind the book: James Smith, a slave who escaped with the help of his dog and went on to become a farmer and Baptist minister.